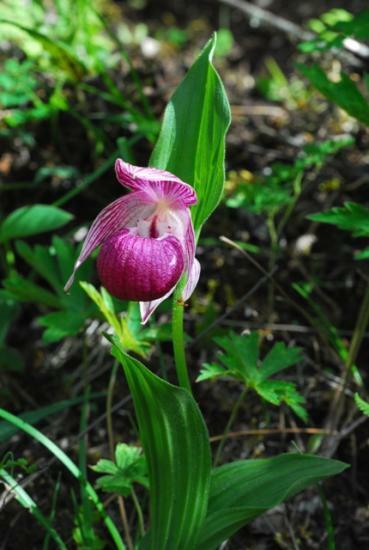 Cypripedium is a genus of terrestrial orchids (Orchidaceae family), most of them perfectly hardy, which can be found growing in nature in different areas: America, Europe, and Asia. 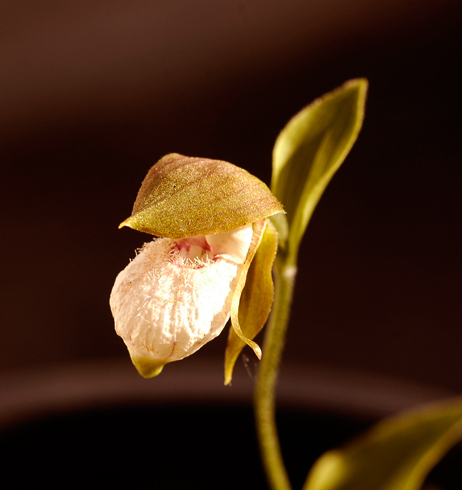 Original species are found as well as many hybrids, due to easy cross pollination. 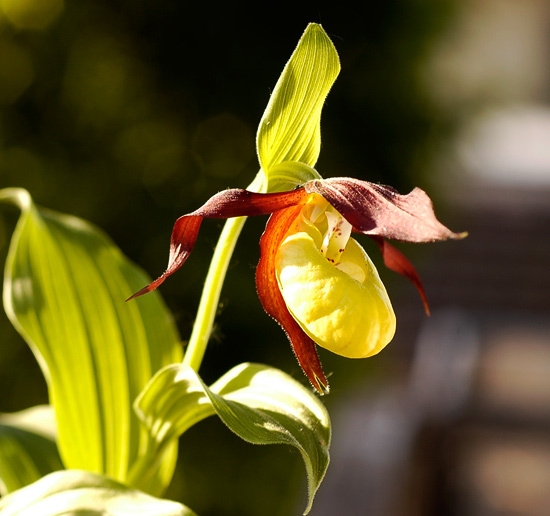 Cypripedium reginae is from North America; C. calceolus (similar to the American C. parviflorum) is native to Europe; C. tibeticum, C. japonicum and many others are from Asia. They are usually grown from seeds in vitro, in sterile conditions, and begin their flowering stage after five or six years from sowing. 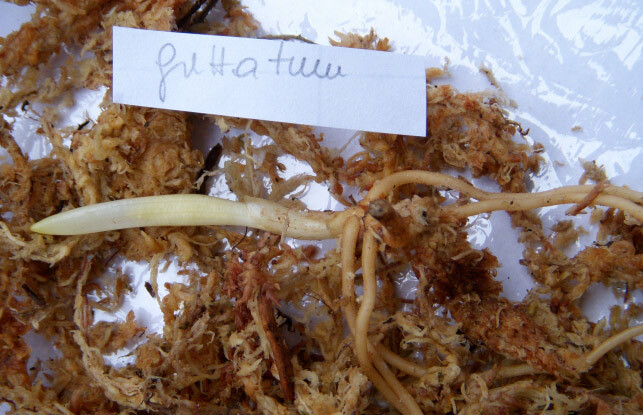 Some people may grow them from seeds by just spreading the content of the mature capsules on the soil near mother plants as these live and thrive with humus rich in organic components. 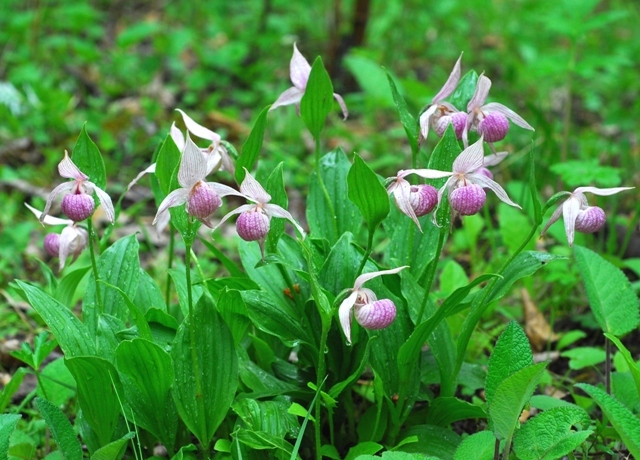 Seeds and adult plants of cypripediums are often mycorrhizal with soil fungi and thus it is difficult to grow certain species out of habitat. Shady position but good light, wet conditions but good drainage, are the secrets to obtaining healthy and fine plants with rich roots. Soon it is possible to split the clump and obtain new specimens. This is the way to test if a different position will improve the growth and to save the plant from possible attack from enemies; fungus especially which kill old and crowded plants. 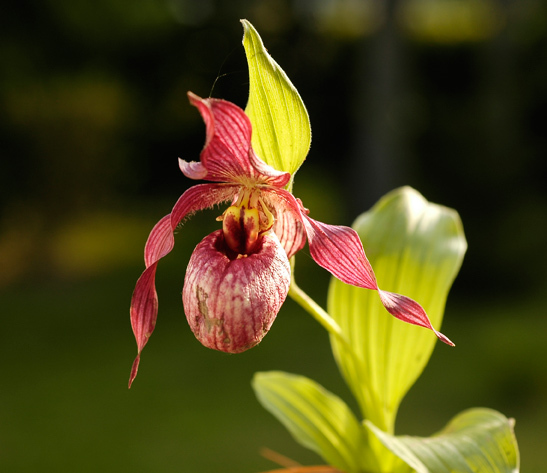 The excellent monograph The Genus Cypripedium by Dr. Phillip Cribb (Timber Press, 1997) is undoubtedly the best introduction to hardy lady’s slipper orchids. Information supplied by Giorgio Pozzi and Oron Peri. 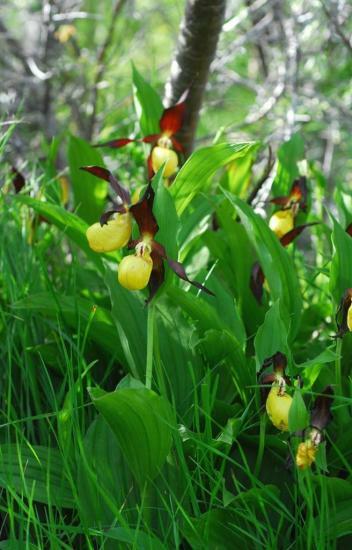 Cypripedium calceolus L. is native to the European Alps. 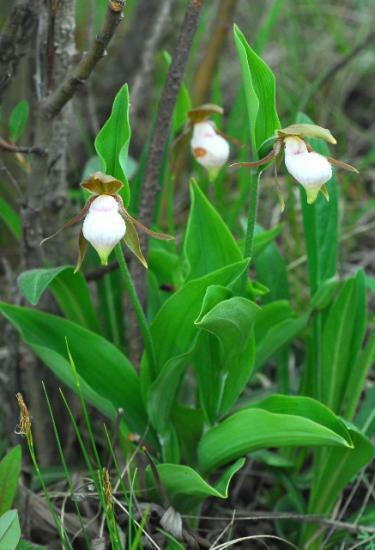 Here in Italy they grow wild at 1000/1800 meters altitude and are difficult to find as they are rare and even if protected by Cites many specimens are lost as the woods are now abandoned and lawns near the woods have plenty of invasive grasses. 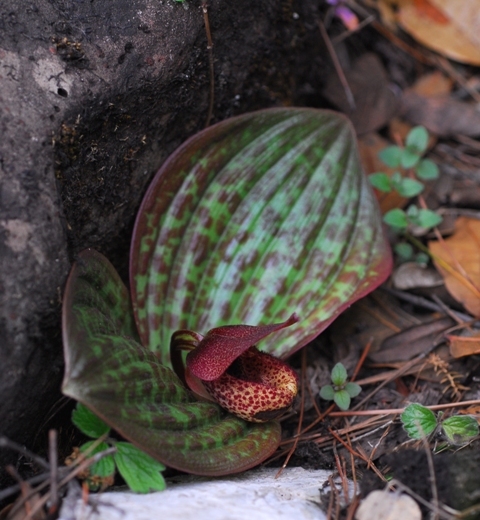 The first picture of a plant in ground full shade position, the second from a flower in pot. Photos 1,2 from Giorgio Pozzi, thired photo taken by Oron Peri in its habitat in the Spanish Pyrenees. 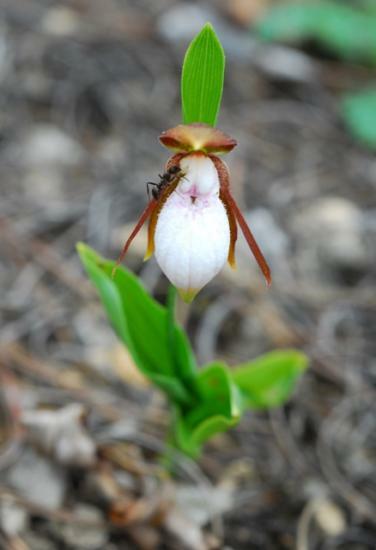 Cypripedium californicum A.Gray is a species native to mountainous areas of northern California and southern Oregon, USA. It occurs in areas with constant moisture such as stream-banks or serpentine seeps. The plant can reach up to 120 cm (47") tall and produces 3-12 flowers from May to July. It is a difficult species to cultivate outside of habitat. 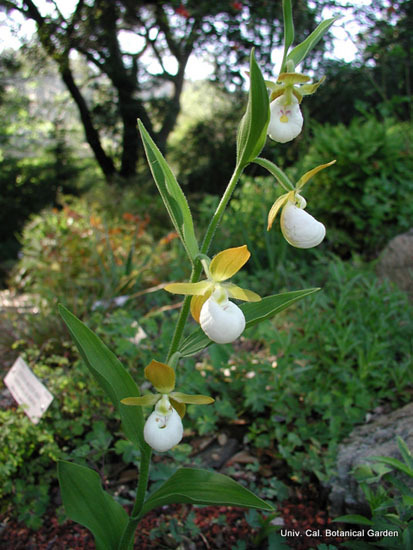 The photo below was contributed by the UC Botanical Garden of a specimen growing in the California section of the garden. 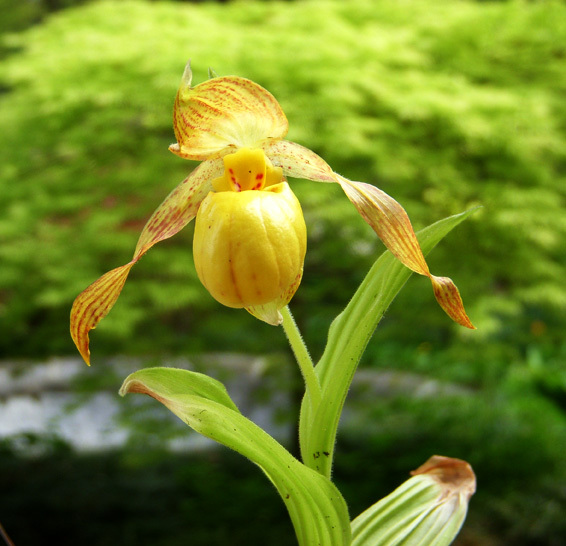 Cypripedium flavum P.F. Hunt & Summerh. is widespred in quite a few provinces of China. 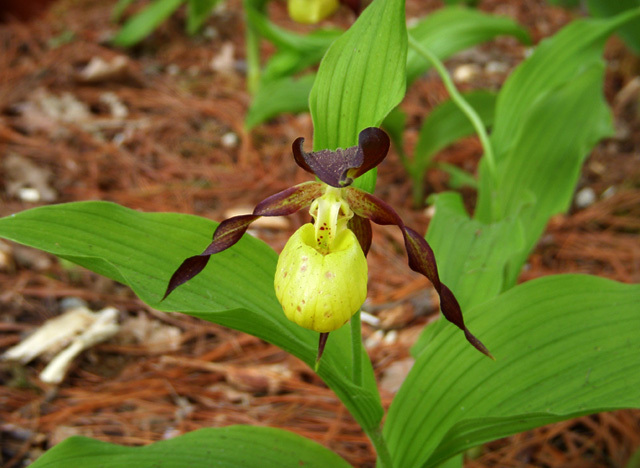 It is a variable species with flowers in shades of yellow marked differently in reddish color; growing in light woods in a humid situation; often in large populations. Photos taken in north west Yunnan by Oron Peri. 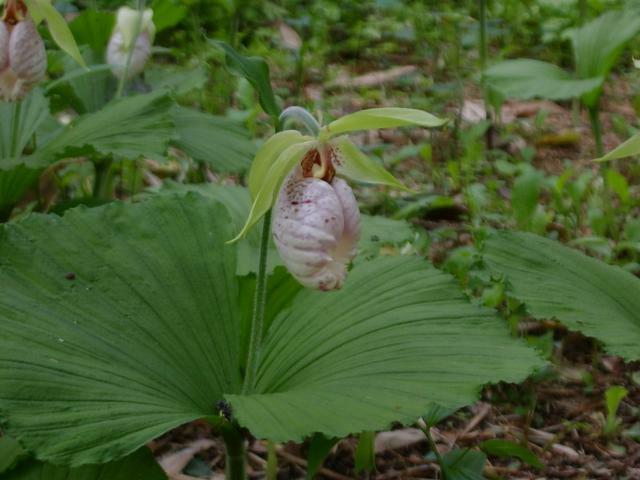 Cypripedium formosanum Hayata is found in central Taiwan in damp forests at 2300-3000 m. It is closely related to C. japonicum and may have evolved from an isolated population of those, but differs in having wider tepals with a pure white base color and a fatter lip. 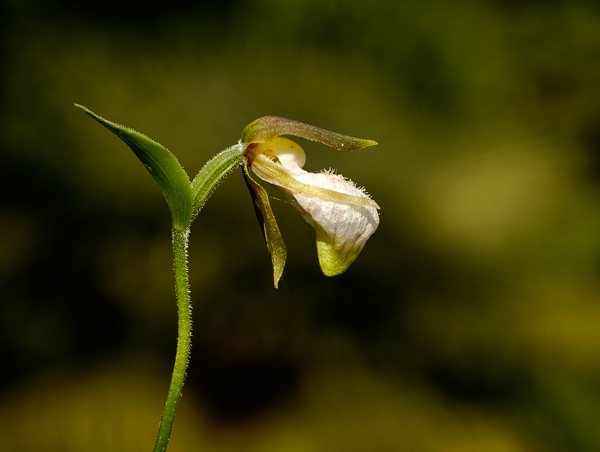 It is among the earliest species in the genus. 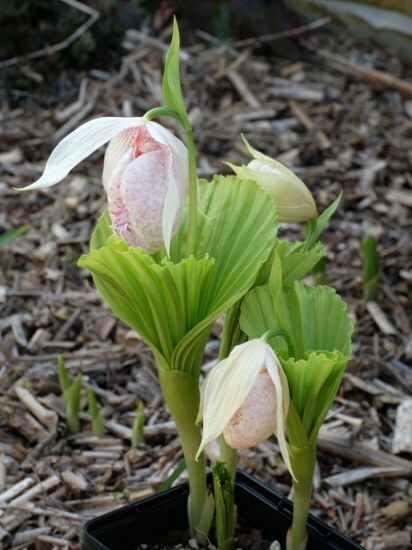 Photos show a plant cultivated by Martin Bohnet and not yet planted at it's final position, so the flowering in mid April may be earlier than when completely planted out. 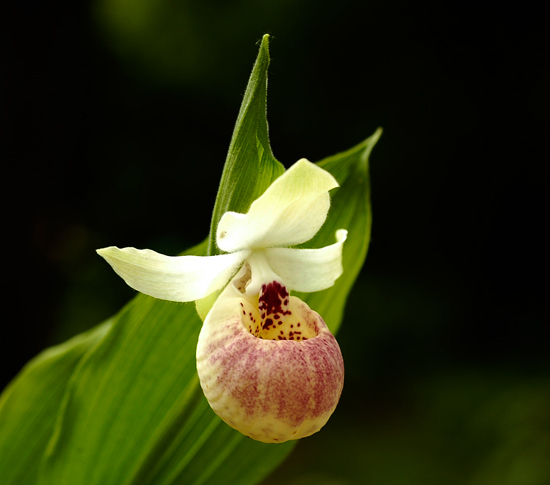 Cypripedium japonicum Thunb. 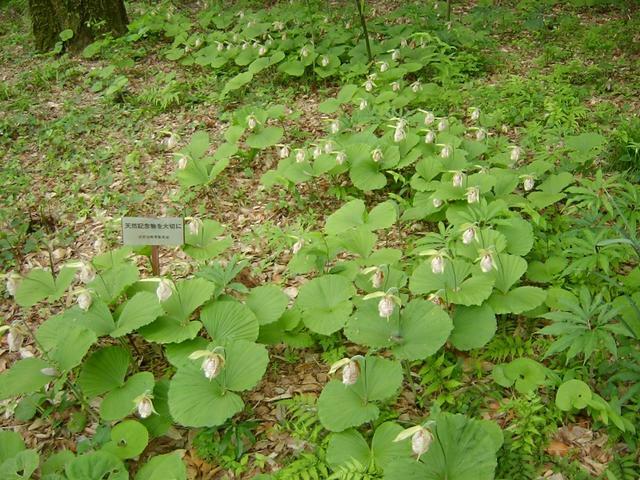 is found in wet areas of cool mountain forests at 1000 to 2000 m in Japan. It is also found in Korea and China. The Japanese name is 'Kumagai-Sou'. Photographs taken in Japan by Mari Kitama. 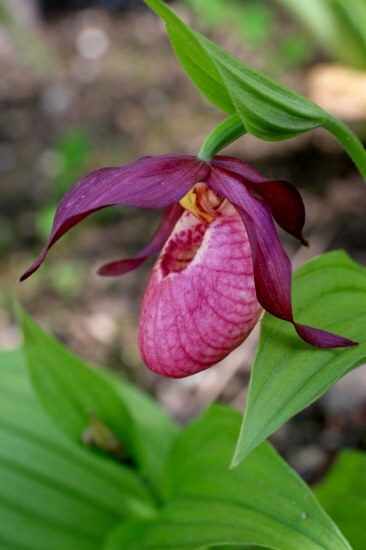 Cypripedium lichiangense S.C.Chen & P.J.Cribb is a beautiful, shy species growing in humus and leaf mold in the shade of evergreen trees and Rododendrons. Leaves are wide and maculated while the small flower is on a short pedicel. Photos were taken in its habitat in north west Yunnan by Oron Peri. 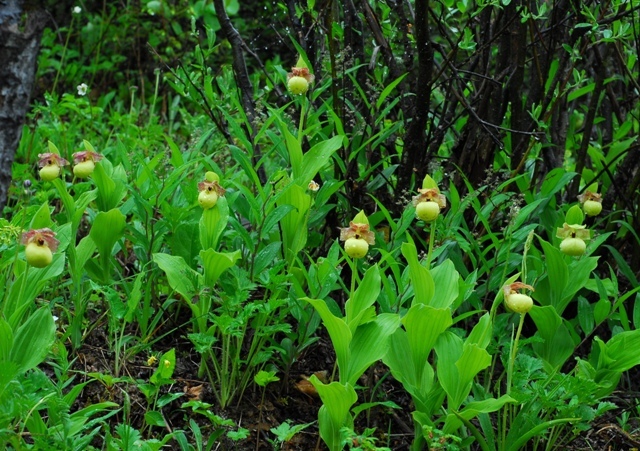 Cypripedium parviflorum var. pubescens (Willdenow) O. W. Knight syn. 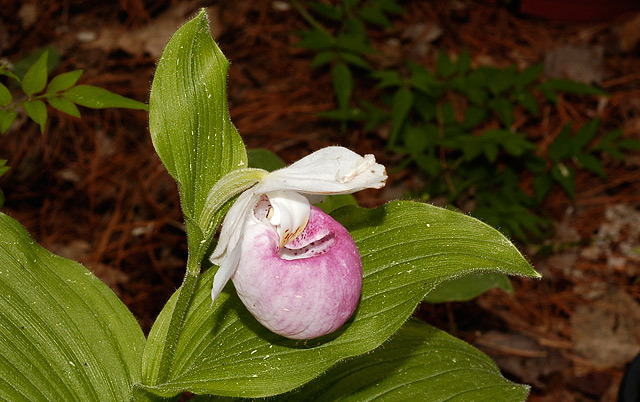 Cypripedium pubescens is a North American species. Photo from Giorgio Pozzi. 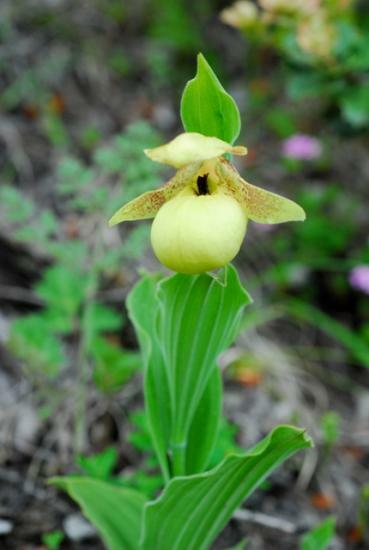 Cypripedium plectrochilum is a very small species; when mature the plant is about 13/15 cm. tall. The flower is 1.5 cm. This species is native to Yunnan (China). Photos 1 -2 by Giorgio Pozzi, photos 3-4 taken in its habitat in north-east Yunnan by Oron Peri. 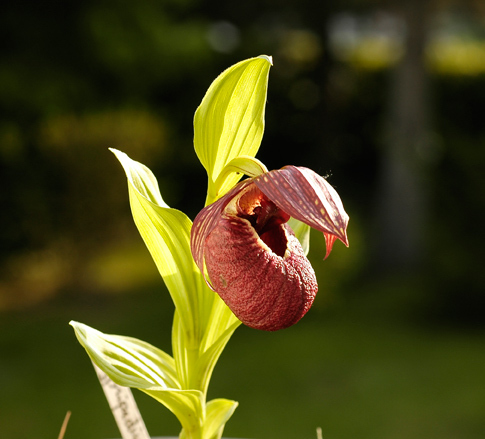 Cypripedium reginae Walter, also named the Queen's Lady's Slipper. This is a tall plant, native in North America, easy to be grown in home garden in a flowerbed with light wet soil in shady position. 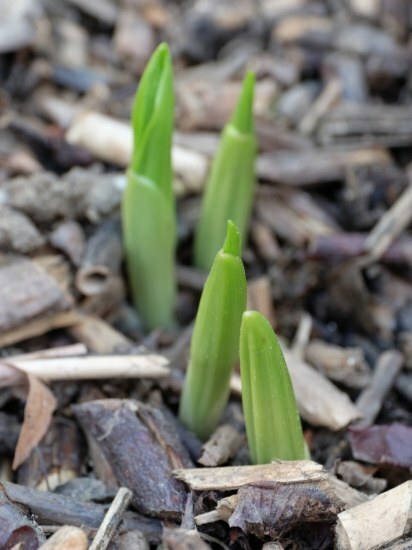 When the plant is mature, it forms multiple stems of 2 to 3 feet each with 1 to 3 flowers per stem. There is also a pure white form commercially available. Here a link to US Forest service. Photo from Giorgio Pozzi. 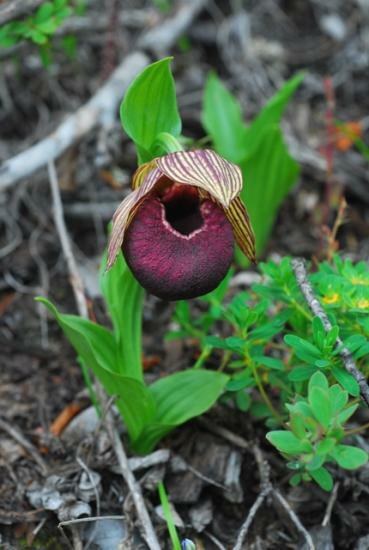 Cypripedium smithii syn. 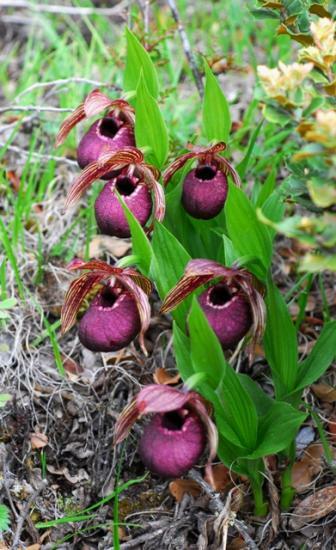 Cypripedium calcicolum This species is from China. 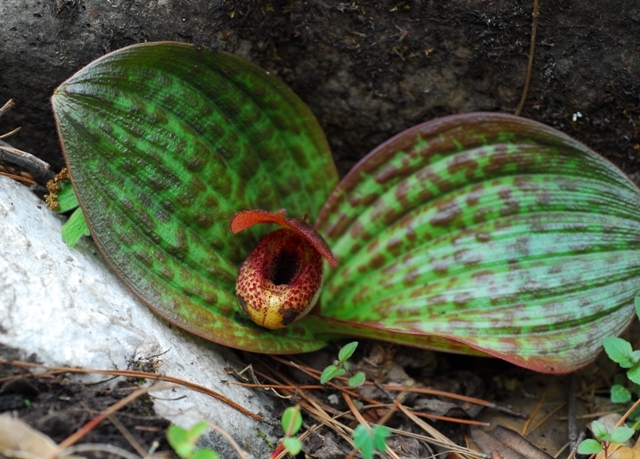 Kew considers C. calcicolum to be the accepted name. Photo from Giorgio Pozzi. 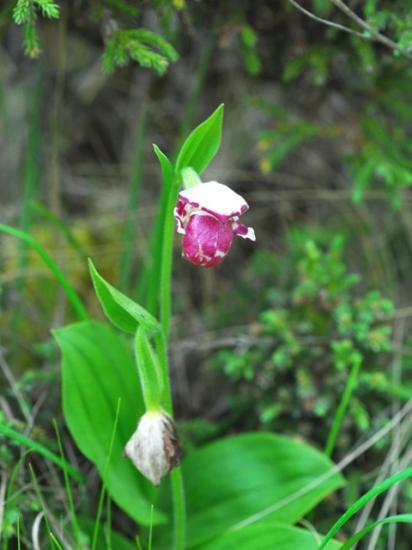 Cypripedium tibeticum King ex Rolfe is a common, robust species distributed in the provinces of Yunnan, Sichuan, Tibet and in the Himalaya growing mainly in forest margins but also in more open areas, often in large numbers. Photos were taken By Oron Peri in north west Yunnan. 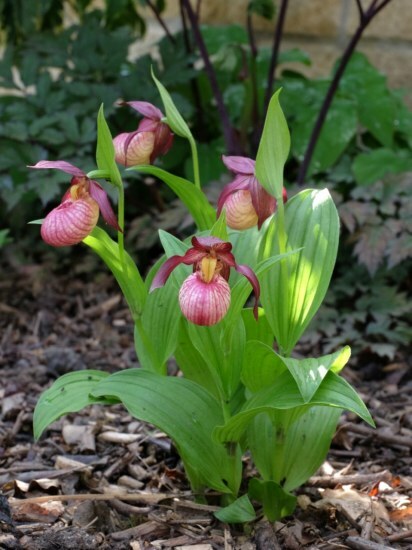 Cypripedium hybrids tend to be far more adaptable to garden conditions than pure species and are thus recommended subjects to start growing the genus. Unless otherwise stated, the commercially available named hybrids are seed raised plants and may show considerable variation. Most established ones are primary hybrids, with secondary ones slowly starting to enter the market. Cypripedium hybrid Axel (Cypripedium parviflorum x Cypripedium tibeticum produced by S.Malmgren 1998). Photo by Giorgio Pozzi. 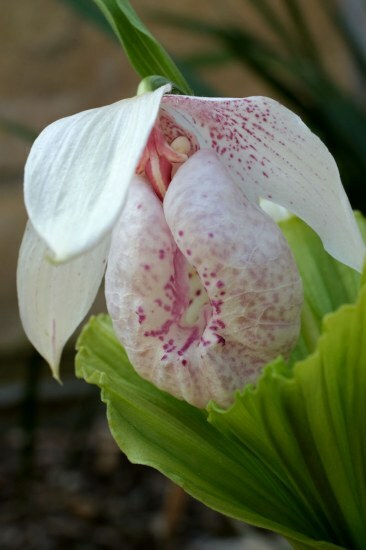 Cypripedium hybrid Gisela ( C. parviflorum x C. macranthos, Frosch 1992 ). 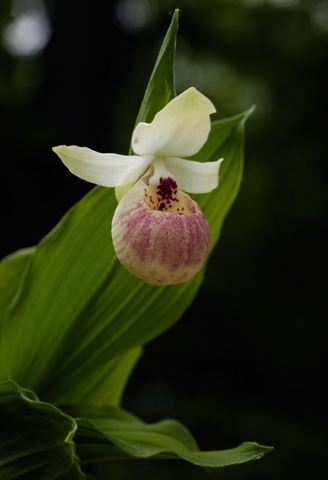 Gisela is among the best of cypripedium hybrids for beginners, forming clumps easily under various garden conditions in moderate shade. It is a smaller hybrid, making it very robust against falling over. It is also very hardy. The color may be somewhat variable with a chance to end up with a brighter lip than on these photos from Martin Bohnet, which also document the speed of development, taking about 3 weeks from emergence to flower. Cypripedium hybrid Ulla Silkens ( C. reginae x C. flavum ) These words from Peter Corkhill member of Royal Horticultural Society well introduce this hybrid: "The first hybrid I tried in the open garden was C. Ulla Silkens (Malmgren 1996), produced in Sweden by Svante Malmgren and named after his wife. This cross between North American C. reginae and Chinese C. flavum is a must for the beginner and produces strong, multi-stemmed clumps which often flower five years ex-flask. The flowers come in two main colour forms - pale lilac with multiple spots and a darker form reminiscent of the C. reginae parent but always displaying the delightful curled-back lateral sepals of C. flavum." 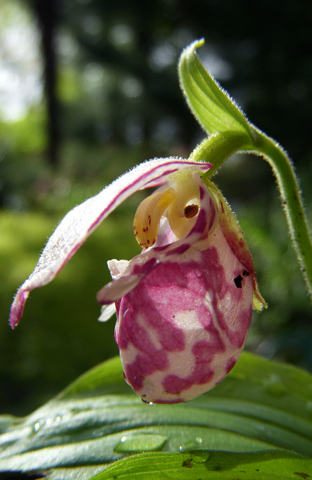 These words were taken from a RHS article entitled Growing Cypripedium outdoors in Britain no longer available online. 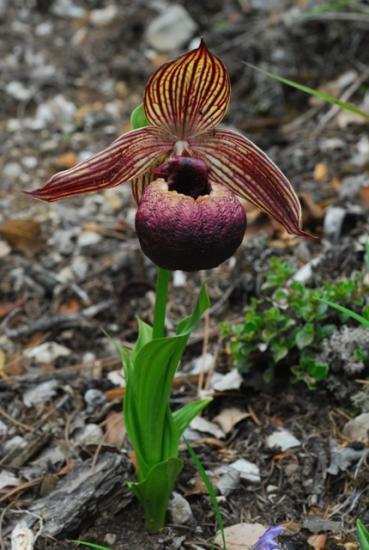 The RHS document Hardy lady’s slipper orchids for the garden by Michael Weinert may be a replacement. Photos from Giorgio Pozzi.